In 1 Thessalonians 4:9–10 Paul encourages the church at Thessalonica to pursue “brotherly love.” What is brotherly love? The noun used here (φιλαδελφία) was only used for literal family relationships before the Christian community began to use it as a metaphor for members of their community (EDNT, 4:434). The only exception appears to be 2 Macc 15:14, the word appears to refer to a fraternal relationship of all Israel. In 4 Macc 13:23, 26, 14:1 the word refers to the mutual love between seven brothers who all suffer instead of reject their Jewish traditions. The Greeks considered the relationship between brothers to be of primary importance, Plutarch used the term “brotherly love” to describe the proper relationship between brothers. Plutarch, De fraterno amore 15 Brothers should not be like the scales of a balance, the one rising upon the other’s sinking; but rather like numbers in arithmetic, the lesser and greater mutually helping and improving each other. On the other hand, the family of Jesus may be an allusion to the larger theme of a New Israel among the followers of Jesus. In Acts 2:29 Peter addresses a Jewish crowd as “brothers,” meaning “fellow Jews.” So too Paul in Acts 22:1; 23:1. Paul’s use of the term “brother” and “brotherly love” bears additional theological weight. By accepting Christ, we are adopted into the family of God, God is our father. This makes each person that has accepted Christ as their savior a brother or sister in Christ. This new family in Christ is the foundation for many of Paul’s commands (cf., Rom 12:10; other Christian ethical instruction begins the same way (Heb 13:1; 1 Pet 1:22; 2 Pet 1:7; 1 Clem 48:1). He urges his readers to please God by treating each other like brothers and sisters. If the church lives in brotherly love, then the father is pleased and honored. For the Greek world, nothing dishonors the parent more that children who do not display proper affection for one another and feud. If Plutarch could say “jarring feuds advance the worst of men,” how might he describe the sort of angry disputes which plague most modern churches? The verbs translated “ask” and “urge” (ἐρωτάω and παρακαλέω) in 1 Thessalonians 4:1-2 are commonly used to encourage a reader to a particular action. They appear in personal letters between people of the same social status rather than a “superior” giving orders to his underlings. Paul’s view that the church is a family and that he is a “brother” within that family is implied by the use of these verbs (Green, Letters to the Thessalonians, 183). Potentially Paul could have “pulled rank” and told the church what needs to change – but he offers these commands a social equal. But Paul includes a prepositional phrase, he asks them “in the Lord Jesus.” The commands in this section are not from Paul, but rather from the true authority, Jesus. Verse 8 will make this point again, if you reject this command you are rejecting the Holy Spirit! “To please” can mean simply to make another happy, proud, etc. But the word was used for citizens who had performed some civic duty and had “pleased” the government enough to inscribe their names on monuments. This is the nuance of meaning which would have been familiar to the original audience: live in a way that gets you a statue in the local park! Most contemporary Christians would not hear this meaning, but for a person living in the Roman world, this would be a clear image of what kind of virtuous life the Lord requires. In the context of the “ask in the Lord Jesus,” Paul is saying that these moral guidelines are ways to please the Lord, who is Jesus. Any citizen of Thessalonica would like to please their government and be honored with an inscription, therefore Paul says you ought to live your life the way the ultimate authority wants you to! The Thessalonian church is already living to please God, but they can improve, they can do this “all the more.” Anyone that thinks they cannot improve is in trouble, not only have they ceased to grow, but they are probably moving backwards. Paul says keep moving ahead! Keep on pleasing God all the more. In this case Paul says that they ought to live, in order to please. Living and pleasing God are coupled elsewhere in scripture, Enoch, for example, was said to have walked with God and pleased him. The verbs in this section are in the plural. He is talking to the whole church, even though some of the issues that follow only concern some individuals within the church. There is a corporate dimension in Paul’s ethical thinking. Surprisingly, Paul’s commands here apply to whole church, not just a small part of it. The rest of the church that is not immoral is responsible for holding everyone accountable to the same standard. Contemporary Christianity tends to individualize these sorts of commands so that they apply to a single person rather than a whole church. If this is right, then Paul is saying to the whole congregation, “live out your faith in in a way that pleases God.” How would this change the way we think about moral and ethical problems in a church? If one part of the body suffers, the whole body suffers; does this mean if one part of the body sins, the whole body sins? In 1 Thessalonians 2:4 Paul says he spoke to the congregation as someone who was approved by God to be entrusted with the Gospel. This is an important claim and is related to Paul’s apostleship. First, Paul says he was “approved by God.” This verb (δοκιμάζω) has the sense of being tested for the purpose of determining the genuineness (BDAG). For example, an ore which appears to contain gold can be tested to determine if it is in fact gold as well as the quality of the gold. Only after the test is finished can the ore be described as real gold (as opposed to iron pyrite, fool’s gold). Paul is claiming he has been tested by God and has been given approval for his mission to the Gentles. Ironically, it is his suffering persecution for that is the “proof” he has been tested and approved! Second, Paul was “entrusted with the Gospel.” He was given a revelation that God’s grace was being extended to the whole world without distinction. Gentiles are now able to be right with God without keeping the Law or converting to a form of Judaism. He says something similar in Galatians 2:7. There Paul describes his commissioning as the “apostle to the Gentiles.” His commission is a trust given him from God and he takes this commission very seriously. To be “entrusted” with something is perhaps a financial metaphor. When someone invests money they expected the financial manager to wisely invest the money and provide some kind of return on the investment. If the manager loses the money, they have not taken their commission seriously and have failed. The fact is that God tested Paul and approved of him to be entrusted the ministry of the evangelization of the Gentiles, and Paul took that commissioning so seriously that he would not do anything that might possibly hinder that trust from yielding fruit. There are a number of obvious applications to the modern church that can be drawn at this point. Each church is given by God a commission, a purpose, a ministry. You are called to do something in this community. A church that wants to succeed tries to understand what their purpose is, and evaluate their ministry to get that purpose done. If you know why you exist and you have a pretty good idea what it is you can do to fulfill that purpose, then you must not doing anything that might detract from that purpose. Paul is saying that his ministry is a success, and it is a success because he is honest and genuine while doing his ministry, that he is not out for money or power, or anything else that might motivate other people. Are churches (or individuals) “entrusted with the Gospel” in a similar way today? Can (or should) we apply similar tests to churches today in order to decide if they are in fact genuine? I think this might even be applied to individual programs within a church – what do we do as part of church which fulfills our “trust” of the Gospel? Paul frequently distinguishes himself from Greco-Roman philosophers. In several different texts, Paul boasts in his weakness and claims he is unskilled as a public speaker. In 1 Thess 2:1-7, for example, he clearly distances himself from the typical orator the Thessalonians likely encountered every day. He has “pure motives in contrast to those who use slick rhetoric to manipulate their audiences. 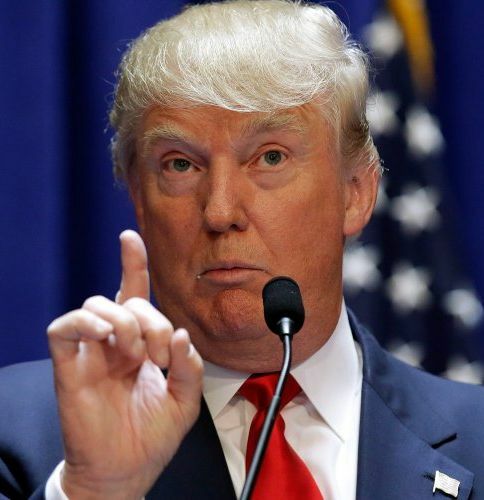 Perhaps he is using some false humility to over emphasize the boasts of the opponents, since it is appears he was at least an effective speaker if not familiar with the way ideas were presented in the Roman world. It is possible that Paul is responding to attacks against his character made by opponents (either Jews from the synagogue or the Thessalonians themselves). It is even possible people in the congregation wonder about Paul’s motivation for preaching the Gospel in their city and founding the church. After all, Paul did spend a minimal amount of time in the city and he leave under suspicion from the civil authorities. He did in fact leave town after Jason posted bond, possible giving credence to the rumor that Paul was preaching the gospel for the money and did not really care about the church. My guess is most Christians do not know much of anything about Philosophy or methods of rhetoric used by ancient philosophers. Perhaps a useful analogy for the methods of an orator in a modern context is a politician. The goal of a politician is to get elected (and then re-elected). They give speeches in which they say things in order to convince people to vote for them, whether those things are strictly true or not. The facts are usually presented in a way which is appealing to the audience. Politicians have become masters of “spinning the truth” in their favor. Ancient Sophists were trained in this very skill. They developed the ability to argue for or against anything at any time, spinning the facts in a way which gave the result their patrons desire. In 1 Thessalonians 2 Paul says this is not the way he presented the Gospel. He was not a huckster trying to get rich off the Gospel nor was he a slick philosopher trying to manipulate the audience to believing the Gospel. What implications can we draw from these observations for how churches “do ministry” today? I am not an advocate of rejecting all modern methods and tools for the presentation of the Gospel, but how does a church or individual avoid the more manipulative methods used by advertisers, for example, or even politicians? What can we draw from Paul’s example? 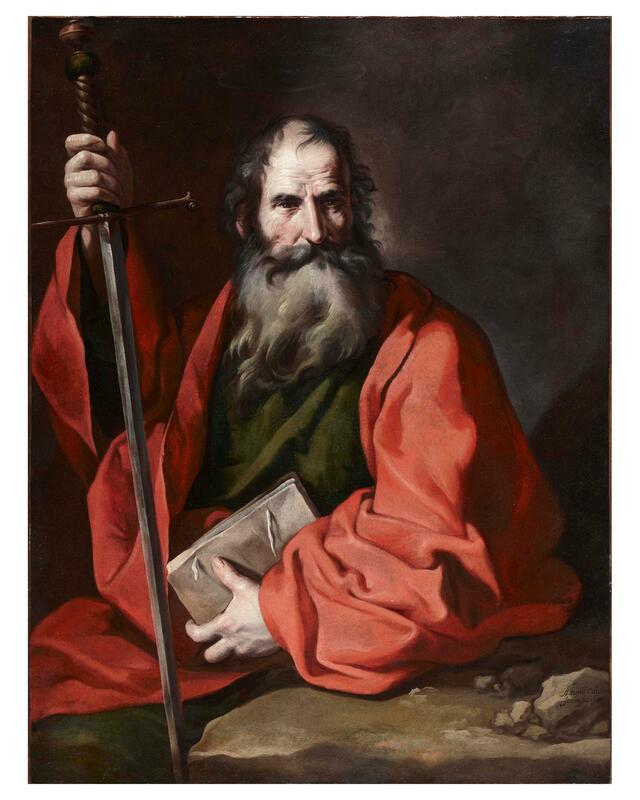 Paul claims to be called to be an apostle in each of the undisputed letters (Rom 1:1, 1 Cor 1:1, 2 Cor 1:1, Gal 1:1) as well as several other letters (Eph 1:1, Col 1:1, 1-2 Tim, Titus). In addition to the headings of these letters, Paul refers to his apostleship in several other contexts. In Rom 11:13 he calls himself the “apostle to the Gentiles” and in 1 Corinthians 9 Paul defends his status as an apostle on a par with Peter or Barnabas. But Paul never claims to be one of the Twelve. With the exception of Matthias, the replacement for Judas, this group were chosen by Jesus before the crucifixion. In fact, in Galatians 1 Paul emphasizes his commission as an apostle but distinct from the Twelve. An “apostle” is someone who is sent as a representative of another, usually some kind of a group. 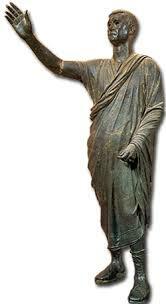 Most lexicons suggests the English “ambassador, delegate, messenger” for the Greek concept of an apostle. Most scholars now associate the Greek apostolos (ἀπόστολος) with the Hebrew shaliach. A person who was sent as a representative or agent acts on the same authority of the sending group. For example, when the Jerusalem church sent Barnabas to Antioch, it is possible he was send as a shaliach or apostle of the Jerusalem church (Acts 11:22). He would have acted as their representative on the scene should questions arise. Paul is not an apostle sent by the church of Antioch to the churches of Galatia, nor is he an agent sent out by the Jerusalem church. He never claims to be one of the Twelve Apostles, in fact Galatians 1-2 make it clear he is not part of that particular group. Paul’s claim in Galatians is that is an apostle of Jesus Christ and God the Father. In 1 Corinthians 15:9 Paul alludes to his status as an apostle in his discussion of the resurrection. Paul was not a follower of Jesus until his encounter in Acts 9. As is well known, he was a persecutor of Jesus’ followers prior to the resurrection appearance of Jesus. Paul claims in in 1 Cor 15 to be an eye-witness to the resurrection, albeit one with different credentials than Peter or James since he did not know Jesus before the resurrection. This experience was like an “untimely birth” (ESV). This word (ἔκτρωμα) is used for a stillborn child or a miscarriage. Many commentators think this is an insult Paul faced in his ministry, he is not just a “Johnny-come-lately” or someone who is trying to “jump on the band-wagon,” or that he has some spiritual deficiency disqualifying him from being considered a “real apostle.” Rather than responding to an attack, Paul is simply listing himself as the final witness because he was the final witness, and his experience is unique among the apostles. But again, he does not claim to be one of the Twelve; like James, the Lord’s Brother, he is commissioned by the resurrected Jesus to be an apostle, but NOT one of the Twelve. In 2 Corinthians 11, Paul sarcastically refers to his opponents in Corinth as “super-apostles.” But since this rare word can mean superior, it is possible the opponents considered themselves to be superior to Paul and described themselves as his superiors to the members of the Corinthian church. Some have argued this is a reference to the apostles in Jerusalem, but it seems unlikely Paul would refer the Twelve with this snarky title (like added “so-called” to something to question its authority). More likely the super apostles are Greeks in Corinth who have accepted the Gospel but are now behaving like Greek intellectuals. Like many of the other issues in Corinth, Paul is dealing with a pagan worldview in the church. By way of summary, there was a group called the Twelve who were apostles, and a few other people who were commissioned by Jesus after the resurrection (James and Paul) and were therefore also considered apostles. There were others, like the super apostles, who claimed authority as apostles but were not commissioned by the resurrected Jesus. How would Paul’s status as an Apostle, but not one of the Twelve, effect his ministry? Did people consider him less-authoritative than Peter or James? Or is his apostleship associated with area of ministry (Gentiles as opposed to Jews)? Could this be geographical (Paul goes west, James stays in Jerusalem)? Like Philippians 3, in 2 Corinthians 11:23–33 Paul boasts about his ministry. Since this letter is written in the mid-50s, the list refers to Paul’s early ministry. But Paul does not list his accomplishments quite the way we would expect them. Second, Paul says he has worked harder, been in prison more, been beaten countlessly and has been near death many times. Paul uses a series of adverbs (περισσοτέρως twice, ὑπερβαλλόντως once, and πολλάκις once) to overemphasize his difficult life as a servant of Christ. These were not one-time problems he endured for a short time. This is the constant state of his life since he began his ministry! Third, Paul has already suffered many times for the name of Jesus. “Five time lashed 40 less one” is a reference to Jewish punishment. The Greek says, “I received the forty less one,” which is a clear reference to a lashing. Josephus uses the phrase twice in describing the Mosaic Law (Ant. 4:238. 248). This punishment came from the Jews—it was an attempt from synagogues to bring Paul back in line with his heritage. The maximum punishment in the law was 40 lashes (Deut 25:3). What is significant is Paul received this penalty five times! Early in his ministry Paul may have been expelled from the synagogue for teaching that Jesus was the Messiah, and certainly if he taught God-fearing Gentiles they could be fully save without keeping the Law. In Acts 7, Stephen is lynched for teaching Jesus had replaced the Temple, although he did not go as far as Paul with respect to the Gentiles and the Law. In addition to these beatings, Paul says he was “three times beaten with rods.” This is a reference to Roman punishment. The Greek (ῥαβδίζω) refers only to beating someone with rods, the Latin term fustigatio was distinct from catigatio, lashing, and verberatio, flogging with chains (BDAG). Paul received this treatment in Acts 16:22 for creating a “public disturbance” even though he was a Roman citizen. Finally, Paul says he was “once stoned and left for dead.” This refers to Lystra (Acts 14:19). Stoning was a typical way for a Jewish group to execute someone. 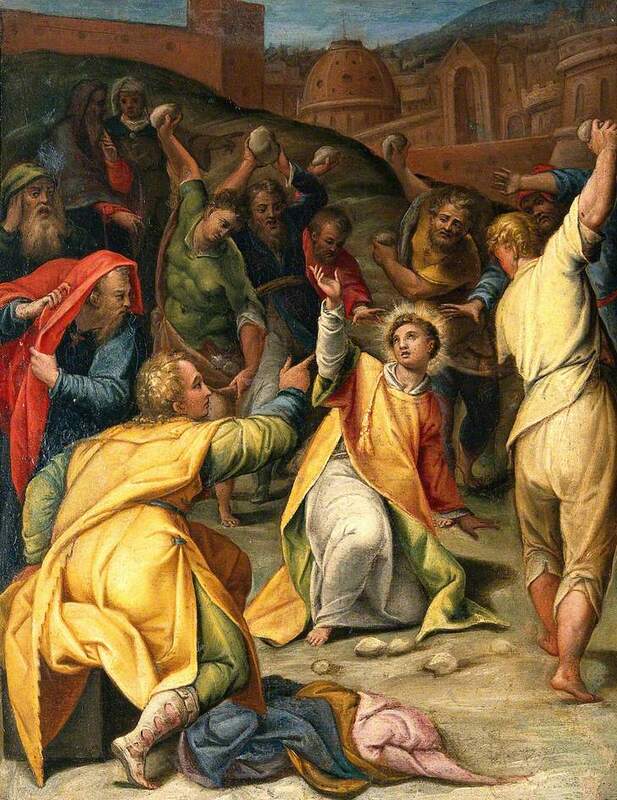 In Acts 7 Paul himself participates in the stoning of Stephen and he is about to be stoned in Acts 21:30 when he is falsely accused of bringing a Gentile into the Temple courts. So Paul was Jesus’ slave who suffered greatly to bring the Gospel to both Jews and Gentiles. How does this level of suffering for Jesus function as a kind of “missionary strategy”? From a modern perspective, being arrested for rabble-rousing might be seen as counter-productive to evangelism. How might Paul’s suffering for Jesus be a model for Christians today? In several letters Paul confesses that he once persecuted the followers of Jesus and caused the death of some. In Acts Luke associates this violent persecution with the preaching of Stephen, a deacon who delivers a prophetic speech in Acts 7 arguing that Jesus is superior to the Temple. The response of the Hellenistic Jewish synagogue is in fact violent: Stephen is seized by an angry crowd, taken outside the city and executed. Saul “approved” of this execution (Acts 8:1), but if he was a “legal representative” of the Sanhedrin is unclear. Saul is described as “ravaging the church” (λυμαίνω, Acts 8:3), a word which is used of violent actions in war (Josephus, JW 4.534). What was it about Stephen’s speech that pushed Saul to such a violent response? It is important to observe that Stephen was speaking to Diaspora Jews living in the Synagogue of the Freedmen (Acts 6:8-10). He is not standing int eh Temple courts speaking Aramaic to the crowds worshiping there. Stephen himself is a Hellenistic Jew attempting to prove Jesus is the Messiah in a Hellenistic place of worship. While we cannot know this for certain, it is not unlikely that Saul was worshiping in this Greek-speaking Synagogue because he was from Tarsus (Cilicia is specifically mentioned in Acts 6:9). Stephen’s powerful argument that Israel rejected the Messiah and the Holy Spirit of the New Covenant (Acts 7:51-53) pushed the crowd to attack Stephen, Saul may have been the ranking Jewish leader who participated. A more likely motivation is the possible political/social problems caused by the preaching of a crucified messiah/savior. How would this play before the Gentiles, especially the Romans? Could this be an accusation against Rome, and a possible rally-point for anti-Roman activity? The problem here once again is the lack of evidence for preaching anything to Gentile / Roman audiences. The early apostolic mission was confined to the temple area and the city of Jerusalem in general. Rabbi Saul is therefore opposing the Stephen as an attack on the central institution of Second Temple Judaism (the Temple) and a particular view of the messiah held by the Pharisees. For Paul as a Pharisee, the idea that Jesus was the Messiah was absurd since he was crucified, “hung on a tree.” Jesus was under a curse rather than the source of salvation. Saul likely sees himself as a reformer, working for the high priest, with the goal of dealing sharply with the followers of a condemned Rabbi. But is this the whole story? Would a disagreement over who the messiah might be result in such a violent response from a Pharisee? Are there other factors which may have motivated Paul’s persecution of Stephen and the other Christ followers?